Back to school lunches need not mean prepackaged cracker and cheese packs, or a PBJ again. With a little creativity you can fill your kid’s lunch box with fun and tasty meals, which is what we have been exploring with our Freezer to Lunchbox recipe series. 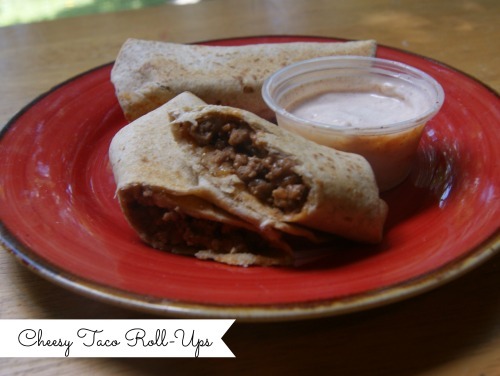 These Cheesy Taco Roll-Ups would work for a mid-week supper too, just make a few extra to pack the next day or to freeze. 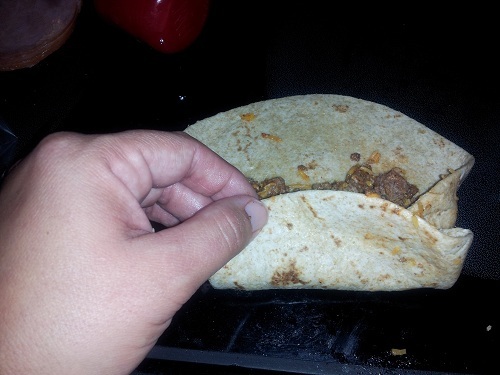 If you prefer use corn or four tortillas they will work just as well. Brown ground beef, drain. 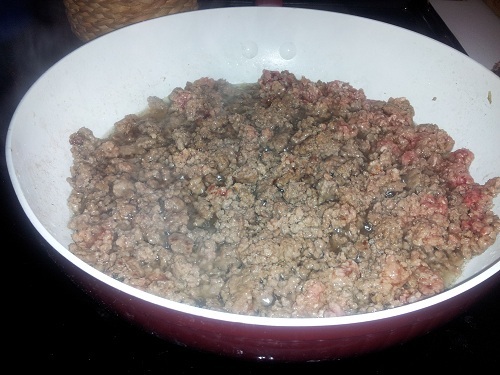 Add water and taco seasoning to ground beef. Simmer for 5 minutes. Add tomato sauce, and cheese to pan, stirring until melted. Spread out your tortilla shells, spoon equal amounts of filling in each one. 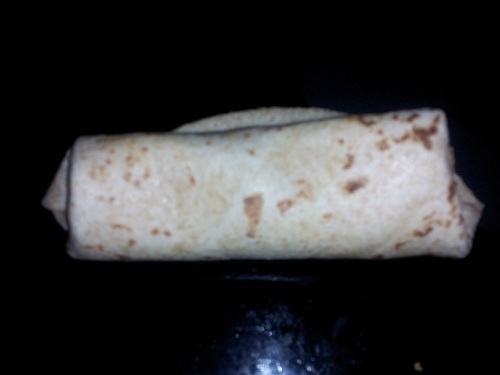 Fold each side inward, then roll from the bottom up. Place seam side down on a baking sheet sprayed with nonstick spray. Bake for 5-7 minutes, melting the cheese (which will seal rolls closed). Serve with sour cream with a sprinkle of taco seasoning stirred in, or salsa to dip. To freeze, lay in a single layer on a baking sheet and freeze until solid. Remove from freezer, place in a freezer bag. Label with a sharpie marker. Brown ground beef, drain. 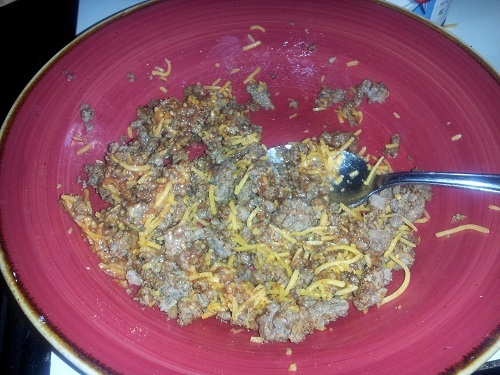 Add water and taco seasoning to ground beef. Simmer for 5 minutes. Add tomato sauce, and cheese to pan, stirring until melted. Spread out your tortilla shells, spoon equal amounts of filling in each one. Fold each side inward, then roll from the bottom up. Place seam side down on a baking sheet sprayed with nonstick spray. Bake for 5-7 minutes, melting the cheese (which will seal rolls closed). How do you reheat them?